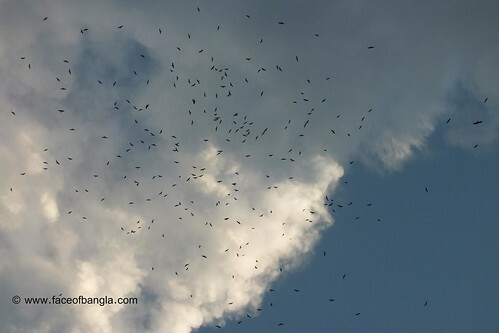 Bangladesh is the home for a huge number of bird species. 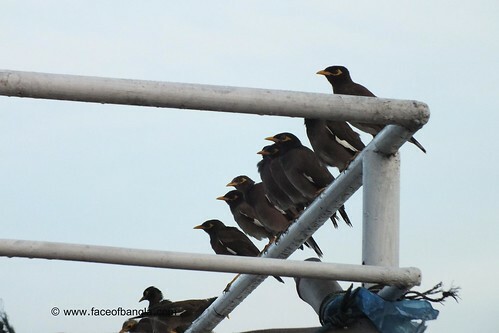 The birds seen in this country can be categorized depending on season, nature of the birds, food habit, ecosystem they use to survive etc. 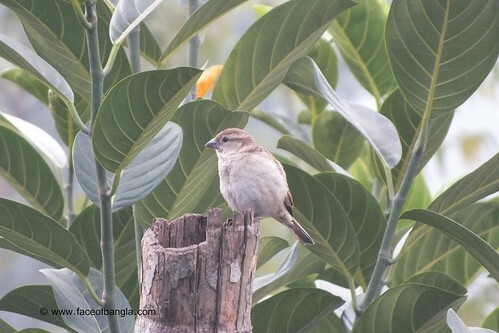 In this post, I am just sharing some Photos of some common birds found generally in the urban areas of Bangladesh. 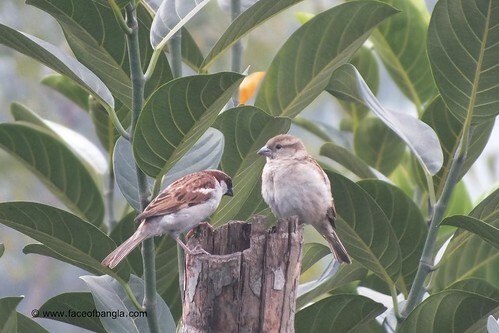 English name: Sparrow; Bangla Name: Chorui; Scientific Name:Passer domesticus. 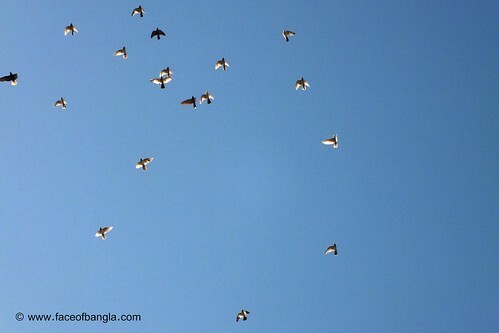 English Name: Pigeon; Bangla Name: Payera; Scientific Name: Columba livia domestica. 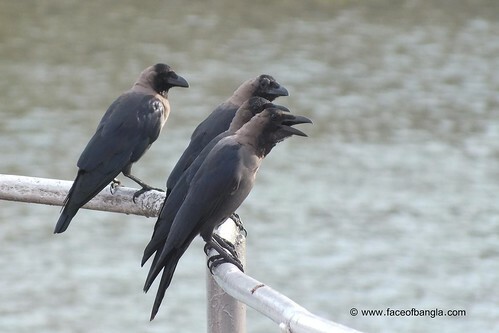 English Name: House Crow; Bangla Name: Kaak; Scientific Name: Corvus splendens. 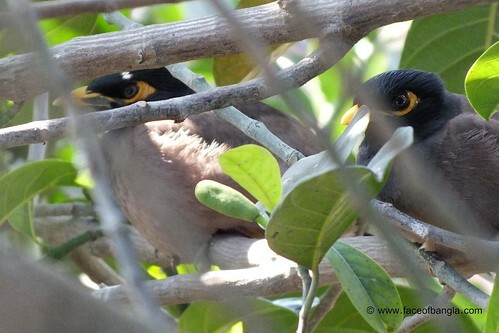 English Name: Indian mynah; Bangla Name: Shalik; Scientific Name: Acridotheres tristis. 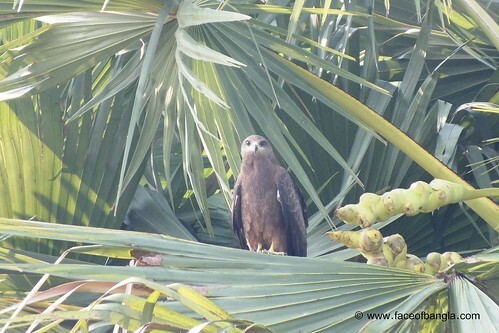 English Name: Brahminy Kite; Bangla Name: Shankha Chil; Scientific Name: Haliastur Indus.